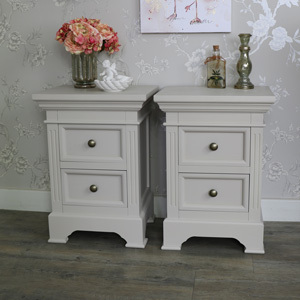 Pair of cream painted bedside tables. Perfect for country, vintage or modern style home decor with Georgian theme. 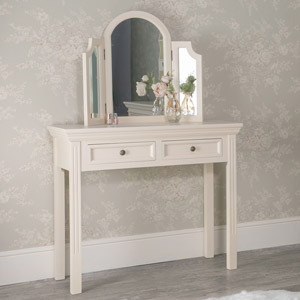 Matching furniture in the Daventry Cream Range and more colours available. Each chest comes with 2 drawers with round brass handles. Perfect bedroom furniture with wardrobe, dressing table set also available and even more furniture for the living room and hallway. 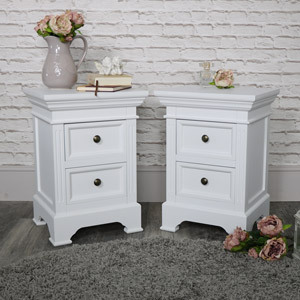 This set of bedside chests are a great addition to our Daventry Cream Range with even more furniture available to create the perfect bedroom. 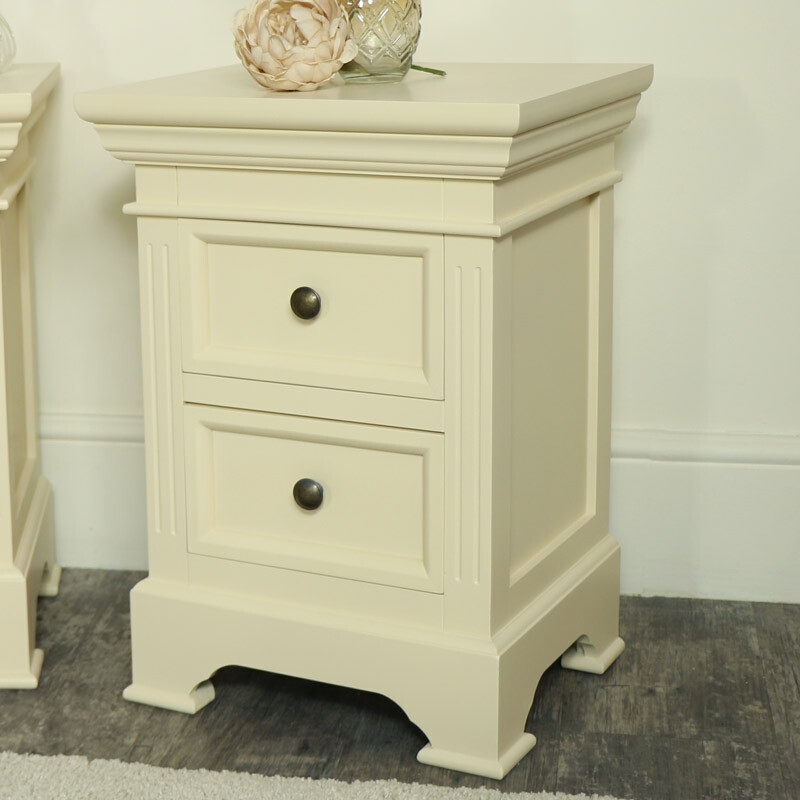 Pair of cream painted bedside tables. Perfect for country, vintage or modern style home decor with Georgian theme. 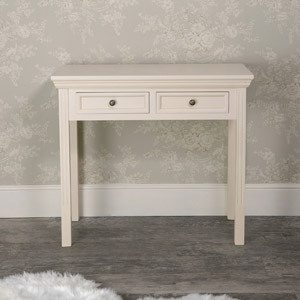 Matching furniture in the Daventry Cream Range and more colours available. Each chest comes with 2 drawers with round brass handles. 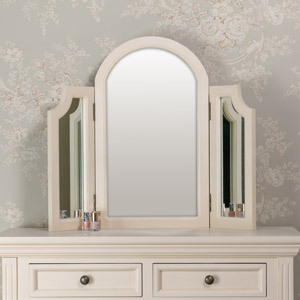 Perfect bedroom furniture with wardrobe, dressing table set also available and even more furniture for the living room and hallway. 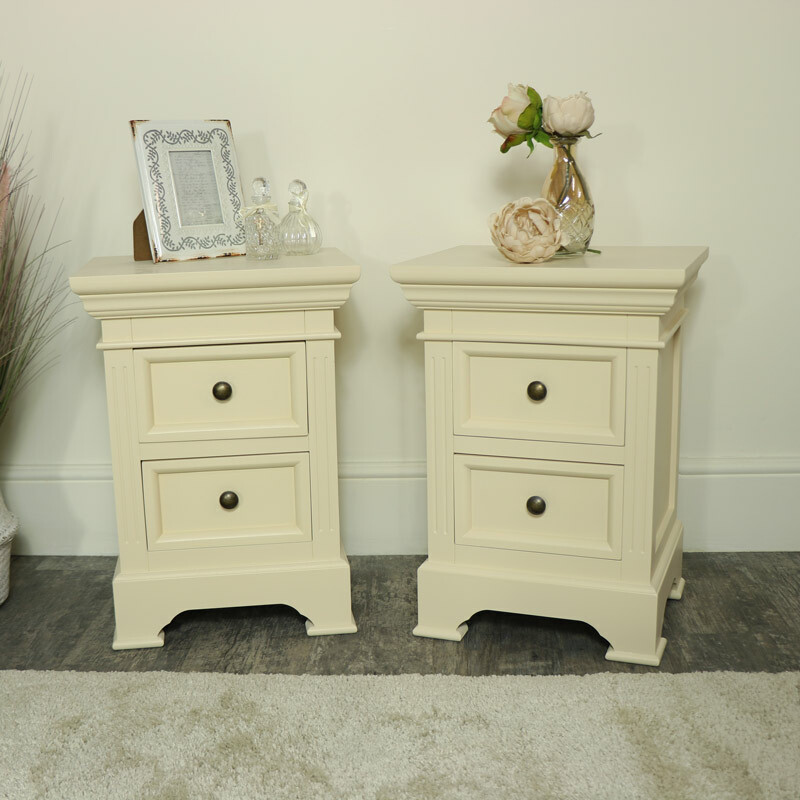 This set of bedside chests are a great addition to our Daventry Cream Range with even more furniture available to create the perfect bedroom. 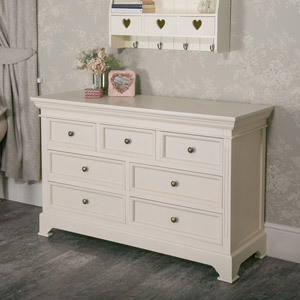 The Daventry Cream bedside chests come fully assembled, so no need for fiddly instructions and time spent putting it all together, just unbox and place where you want. Measuring at 40cm x 55cm x 32.4cm (Width x Height x Depth) with the the drawers each measuring at 22cm x 12cm x 22cm (Width x Height x Depth). 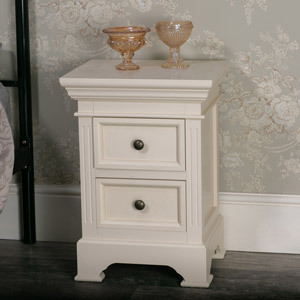 The Daventry Cream 2 Drawr Bedside Chest comes fully assembled.